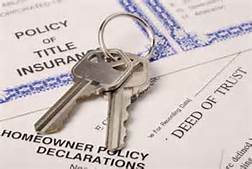 Do you fully understand the VALUE of the Owner’s Title Insurance Policy? Overall Title Insurance protects the interests of property owners and lenders against legitimate or false claims made by previous owners or lien holders. In effect, it insures the investment unlocking its potential as a financial asset for the current owners. Just a few reasons that it is so important to maintain your Owners Title Insurance with a Title Company. Dollar-for-dollar, Title Insurance may be the best investment a property owner can make to protect their interest. According to ALTA, title problems are discovered in more than 1/3 or residential real estate transactions. These “defects” must be resolved prior to Closing. The most common problems are existing liens, unpaid mortgages, and recording errors of names, addresses or legal descriptions. An Owner’s Title Policy protects the owner for as long as he or she has an interest in the property; and the premium is paid only once, at Closing. Title Insurance is different from other forms of insurance because it insures against events in the future, as health, property or life insurance do. Title Insurance is loss prevention insurance. Title Insurance Companies rely on a search of existing records to identify possible defects in order to resolve them prior to issuing a policy. The Companies perform intensive and expensive work up-front to minimize claims. The better they perform, the lower the number of claims. Research titles may be extremely labor-intensive since only about 15% of public records are digitized. The industry invests a substantial amount of time and expense to collect and evaluate title records. As a result, the industry’s claim are low compared to other liens of insurance. Title Companies access, assemble and analyze title information, in addition to handling Escrow and Closing process so that they are able to provide customers with the most comprehensive service. All Title Companies are held to a higher standard of business practices. They must be accountable for all the research and implementing all the guidelines required by law. The duty of the real estate agent is to connect his or her clients to a Title Company they are comfortable with. Although many selling agents will work with one they often find themselves working with other Companies when they are the listing agent. Communication between the realtors and Title Company is paramount. Everybody must be on the same page to avoid delaying the Closing.